I didn't say anything about CitiPro. Kevin said that they were 4One Gemini. This morning might be a good time for a leisurely stroll past 567. I wonder how long it will be there? I'm way too busy this morning. Please someone get some pictures of the rear of the bus. The inside would be nice too, if that's possible. If it's still there this afternoon maybe I'll see it. Oh yeah, that's right because he did stated that you had Gemini right but the wrong manufacturer. Sorry. This marks the first time in 40 years that there are buses in the 7900s are manufactured on this fleet since the GM's 7400-7944 (1973-74, Retired in 1996). Of course I don't have any meetings downtown this week. Boo. I was down there (at 567) and saw the bus. Very nice, subtil changes to the body style. Didn't get a chance to board it though. Is the bus still there? Bus 7900 came by 567 today (as stated above), briefly, so that Planning could see it. 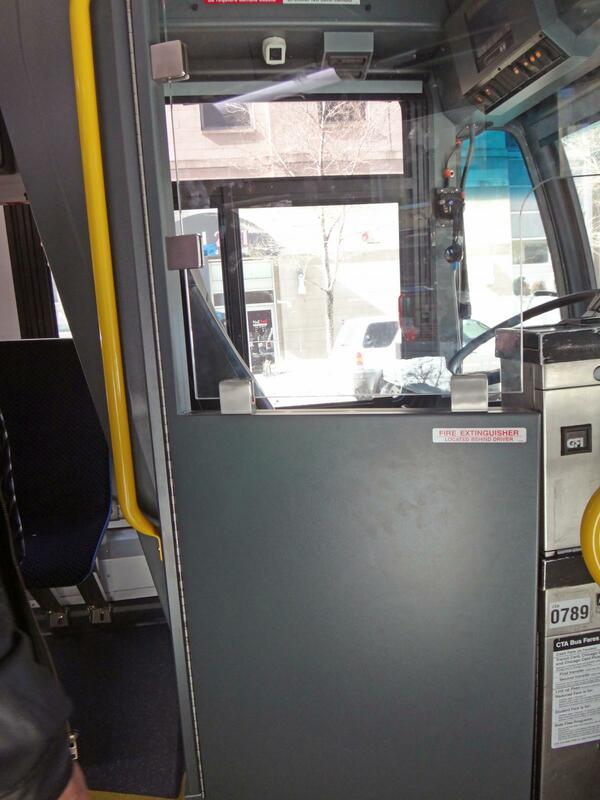 Per Engineering people on board, the next bus (7901), also considered a prototype but part of the 300 bus order, is due around April 9th. The deliveries of the following 48 buses would be in late April/ early May. Then after 8 weeks or so, the next 50 would come in, and so on in groups of 50 until all are here. April? I thought there was coming this month or at least some of them.. Yawn. This looks no different than the current Novas. Ok, there is no rear window and no backward facing seat, but they could've at least kept the paneless windows. This was my same complaint with Pace's 6323s. Update, I saw the rear window. Still a yawn. 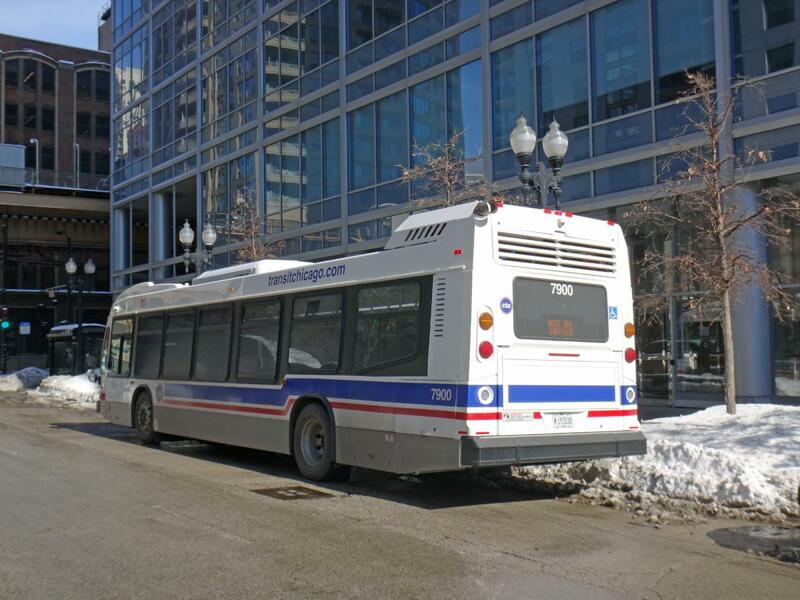 The question, though, is that CTA has already made the initial payment on two buses (current payment database) and people here have reported seeing 7901. Hence, as usual, the stories are not congruent. 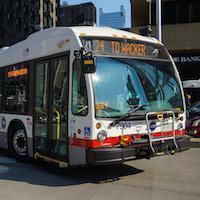 So the Nova LFS Smart Buses won't debut on CTA routes until sometime in May then? I can't see them just putting 2 buses on the job in April. Great pictures Mel!! So we are still in the prototype stage. The bus procurement schedule seems a bit delayed. So basically what they're saying is that the first 50 come in early May and every two months another 50 come. So that would put it at a completion date of May 2015. If they exercised the 150 buses option that would take them to Nov 2015 to complete 450. So basically delivery is a year and a half for 450 or a year for 300. The latest rumor being spread around, is that they will be going after Nova artics. I guess it's too early to comment on it until we see a contract drawn up. That would make things more interesting. Well if that's the case it looks like the 6400 Novas will be around at till 2015 then right? Or will they phase them out as the new Novas come in so that way it'll still be an equal or a close amount of buses still around after it's all said and done. Since there isn't a Red Line project or a pending lawsuit, there is no reason to stockpile equipment that is not being used. There might be a slight fleet increase, but as life with the 4400s and 5300s showed, the worst buses are going out first. True. As is we're still seeing close to a 100 bus surplus since only maybe 2 or 3 6400s have been confirmed officially retired so far and they'll probably explain that as being because of the 1000s going through rehabs and the need to keep service running as seamlessly as possible. As for more artics, I'm really not seeing where those would go until we actually see Ashland BRT is going to happen and/or there is some sort of other service expansion instead of BRT. The current 300-plus they have can be redistributed in such a way that other busy routes see artics providing (total coverage) or augmenting service (some sort of split with 40 foot buses. They could put them on regular 9 and 49, but others say that 74th Garage can't handle them. Similar issue with FG and 77 and 81. There might also be a question how much routes 3 and 8 could use them. That's because 74th is not compatible with artics due to the fact that it's a small garage. Forest Glen is a wild card because of the expansion but I'm not about to jump into conclusions whether it can handle artics or not. The 49 though can always be supplied a few artics from North Park's end of things, especially now that it's back up to 120-something artics which still don't do total coverage on 151 and the express runs to the degree that had been occurring when the de-crowd plan first went into effect. A good number of those PM rush runs on the expresses still have been done with 1000s as of late. Then why not trade some of the 1300s, 1400s, Mid-High 1700s and 1800s, and/or some 1900s to some garages in exchange of artics for North Park (not 4300s)??? I think you misunderstood my point that I was making that North Park is overstocked with artics It actually doesn't need the number that it currently has in terms of which routes it uses them on. It was supplying its artic routes just fine with the number it had before getting the extra from Kedzie. If it was felt Kedzie had excess, then those should have gone somewhere south to make up for what was taken from the south side to supply Chicago. If anything, when they were coming up with a artic assignment for Chicago, they actually could have pulled more of a contribution from North Park.